it because I love their bright yellow color so much. But again, I digress . . . .
crappy one, as it's faults will become more apparent as it's size increases. number of words for the color yellow, and in this case, the term Yamabuki (Yah-ma-boo-kee) is used. 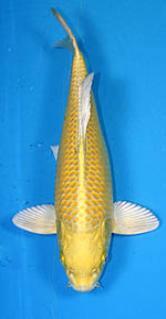 purchasing one of these koi, as well as the placement of the scales and opaque color of the fins. 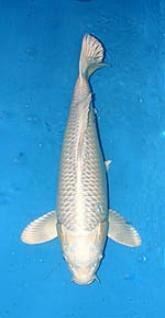 To see examples, descriptions, and the names of these other single colored koi, let's move on to the next page.